Edward Strutt was born in 1853 at Mansfield Woodhouse, Notts. He was the youngest son of master bootmaker George Strutt. He became a Methodist Missionary and worked among the Tamil people in the north of Ceylon. He was appointed Principal of the Central School, Jaffna, in 1876, for 2 years, was based at Kalmunai in 1878, for 1 year, and Trincomalee, 1879, for 2 years. He then moved to Colombo in 1881 for a further 6 years, still working with the Tamil people. Ill-health compelled him to return home, and he died in 1911 at St Columb, Newquay, aged 58. On return to the England, Edward held posts: 1887 at Birkenhead; 1890 Manchester, Oxford Rd; 1893 Liverpool; 1986 Lewisham; 1899 Bradford, Manningham; ??? ; Shipley (address in 1909), and died at his son Raymond’s, St Columb, 1911. Edward and Katharine (spelling varies, but Edward’s will and census agree on Katharine) had two sons, Raymond Hugh Strutt, and Arnold Unwin Strutt, born at Colombo in 1884 (possibly twins), which may have prompted their move from Trincomalee to Colombo. 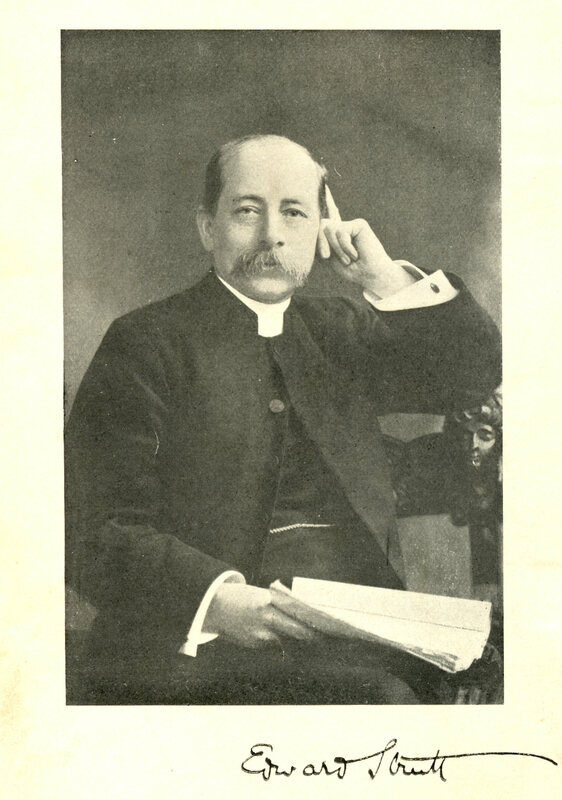 Edward wrote a book published in 1892, ‘Memorials of Thomas Lowe of Rusholme’, and after Edward’s death Raymond published, ‘A Missionary Mosaic from Ceylon’, a book of essays written by his father, on his experiences in Ceylon, which seems to have been very popular as a Sunday School prize, copies can still be found from time to time on Ebay or Amazon. 18th April 1837 Mansfield Woodhouse. Notts FHS Marriage Index.